It was so much fun kicking off the Clear the Clutter Challenge last week! 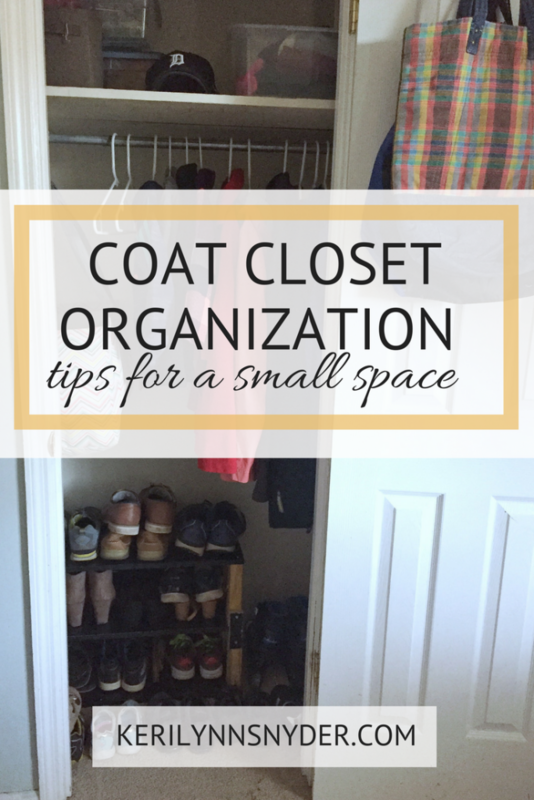 I loved focusing on my coat closet this week as it was a much-needed space to be cleaned out. It is amazing how cluttered one closet can become. 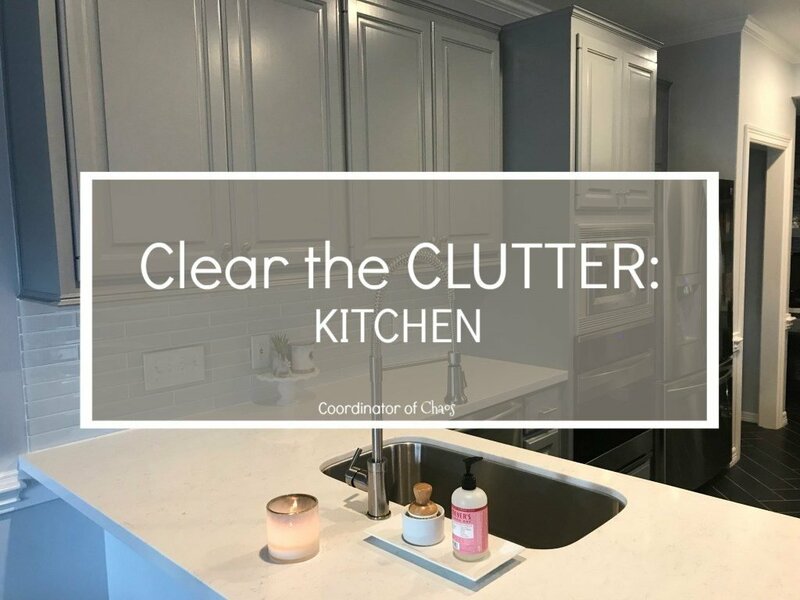 Before I share some tips for decluttering a coat closet, I wanted to highlight a few kitchen spaces! First is Holly’s kitchen from the Coordinator of Chaos. We loved her organization and how everything had a home. Make sure to hop over to check out all of her amazing ideas for the kitchen! The second space is from our Facebook group (which we would love for you to join). We loved Beth W’s space and her pantry is a personal favorite of mine! If you have not checked out my co-host’s kitchen spaces, you will want to see Kate’s space and Jaclyn’s space! Now to onto the coat closet! 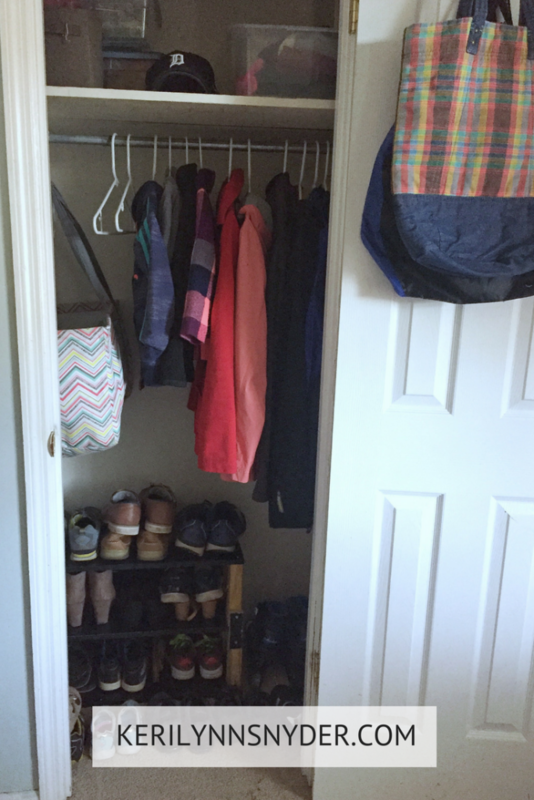 With our home being smaller, we have the coat closet and a hall closet. All of the other closets are in the bedrooms, so we need to use the space wisely. Remember, when organizing any space, empty it out! You need to start with a blank space. With our closet, I love to use plastic containers to hold items. I also love using all of the same hangers in the closet. There is something very fresh and pleasing to the eye with this. Having either bins or a shoe rack is also nice to have. My husband built a little shoe holder a few years ago and we still use it in the closet. 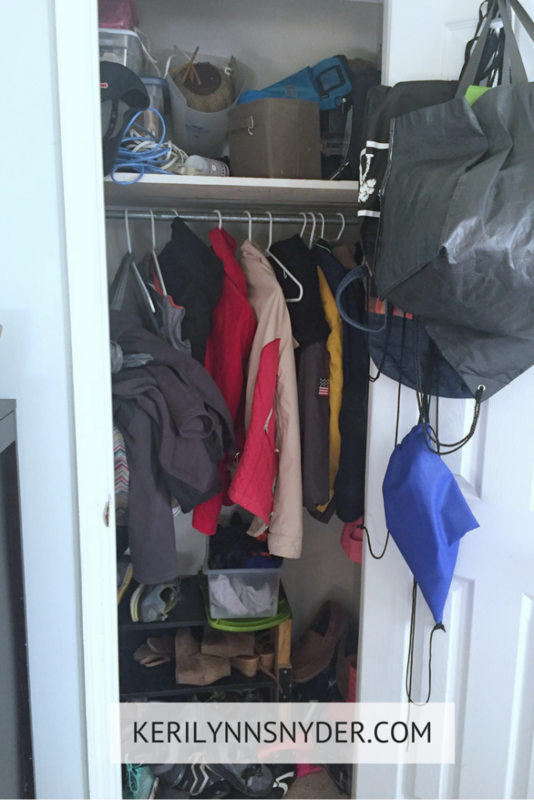 A coat closet can easily become a cluttered space of endless coats that are rarely being worn. Take out all of the coats and divide into piles for each person. Once they are divided I am able to see if we can get rid of some of the coats. Some may not fit anymore or there may be duplicates of style. We also have a beach bag hanging that holds a beach cooler. This is used a lot since we live on the coast so I love having it easily accessible. 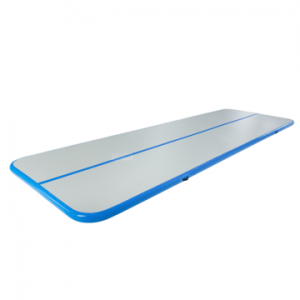 For you it may be better to have a different item at easier access. Now that everything is organized, my focus is to put things back where they belong, because that will help maintain our decluttered space! Ready for the link party?! Each week we will pick our favorite space from the previous week to feature! We will select one blogger from the link up and one person from our Facebook group! If you’re not already a part of our Facebook group please click here to join! We share tips for organizing, behind the scenes, and it’s a place to ask questions and join in on a community! So excited for you to link up below! Not a blogger? 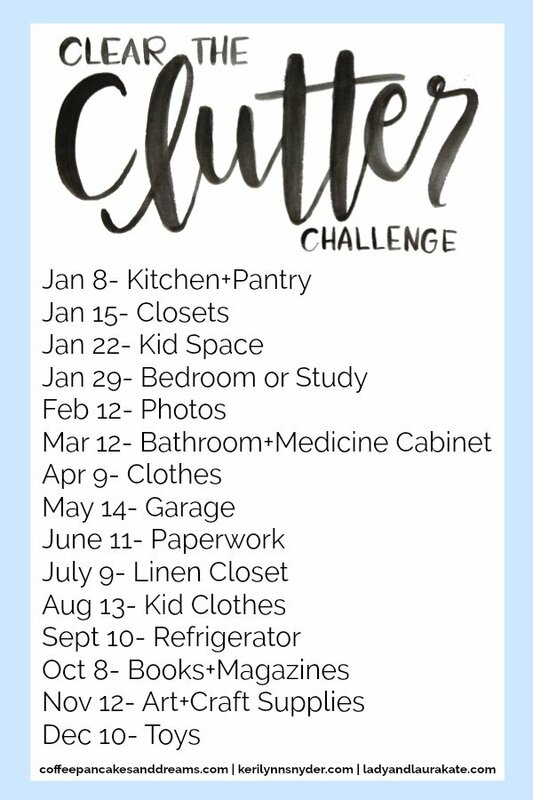 Join the Facebook group to share with us your space or use the hashtag #cleartheclutterchallenge and tag us on Instagram! 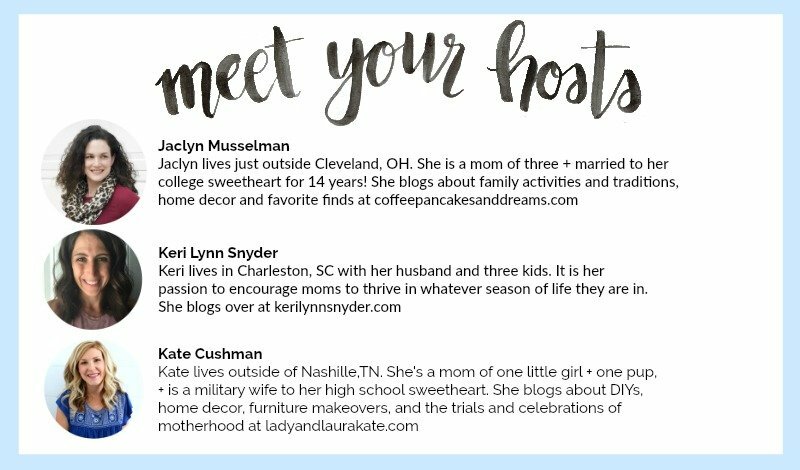 Link up your clear the clutter post below and follow the wonderful hosts on social media. Please know that all off topic posts will be deleted from the link up. Please link back to one of the hosts. 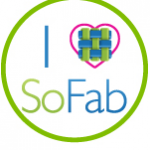 By linking up, you are giving us permission to share photos from your post on our blogs and social media. I agree that focusing on putting things back where they belong is KEY! Hoping I can do that too. It looks so much better! And I love the idea of having a shoe rack in there! Thanks Kate, I am loving each clear space! Thanks so much for giving a shout out to my kitchen! 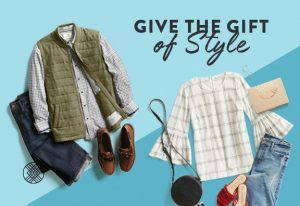 I’ll be linking up shortly with my closet post – enjoying the extra day with the kiddos! Thanks so much for hosting! I’m getting so much inspiration and encouragement from seeing others’ ideas!!! Hooray! Hope the day was great! So glad you are linking up! I love your idea to use only one style of hanger in the closet. My entry closet is open (no door) and I think this would look so much better than the random assortment of hangers I use now. Yes! I just get rid of any duplicates. I did white in all the spaces because easy if they mix up by random chance.